Bass Villas apartments are located in a quiet area adjacent to the Launceston Country Club Casino Golf Course and just a few minutes walk from the variety of bars and restaurants at the Country Club Casino and Country Club Villas. 6 kilometres south of the Launceston GPO we are easily accessed from the city centre and just 10 minutes to the Launceston airport. All of our apartments are fully self-contained and ideal for extended families or groups travelling together. 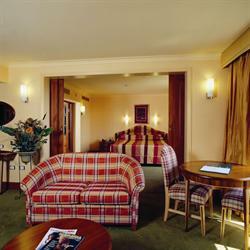 Country Club Tasmania offers a combination of 88 Deluxe rooms and 16 5-star Manor Suites. Recently refurbished, all rooms offer views over the stunning golf course and lake, landscaped courtyard or the surrounding natural bushland. Whether its in a top of the line Manor Suite with spa, granite bathroom, separate lounge and quality entertainment system, or a spacious and elegant Deluxe room, the hotel rooms are the ideal place to wind down after a days touring. 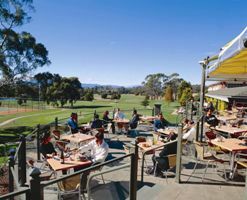 Country Club Tasmania also offers guests a complete selection of dining and recreational activities. Indulge your tastebuds in one of many restaurants, enjoy live entertainment most nights or relax in one of our bars with your favourite drink... all well deserved after the round of golf on our championship 18-hole golf course. Or you may prefer to challenge someone on the tennis court, enjoy a horse ride or spot of fly fishing, or relax in the health centre complete with indoor heated swimming pool, sauna and spa. The choice is yours! The Best Western Abel Tasman Airport Motor Inn is conveniently located only minutes from the Launceston Airport and the Launceston city centre. 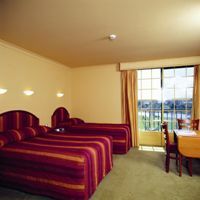 We are the best choice for Launceston Airport Accommodation. We have 42 comfortable ground floor units ranging from motel accommodation style rooms to two bedroom apartments, all with parking to the door. 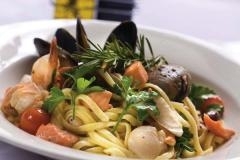 The Abel Tasman Restaurant is fully licenced and offers 1st class dining at affordable prices. Families welcome. 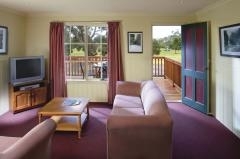 Country Club Villas is a country retreat on the fringe of Launceston. 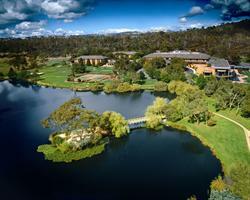 It is surrounded by natural bush, parklands, lakes and also minutes from Launceston 's CBD. It offers several styles of self contained accommodation. Choose from 73 one, two and three bedroom villas including executive spa suites, all with parking at your doorstep.All guests have access to the full selection of Country Club's many recreational facilities and activities, including 18-hole golf course, health club with pool, spa and sauna; squash and tennis; horseriding and trout fishing. There is also a free shuttle bus to the Country Club Tasmania.